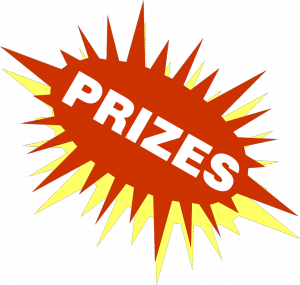 The final drawing for prizes for the August 2014 OpenCachingNA Diversified Cacher Contest is at 9:00 PM Eastern Standard time on Wednesday, September 17th. As most players know, we drew the first 3 winning entries on Sunday, September 14th. Those winners (Mrs.HB31, DisneyScout and ShortyKnits) had their choice of any prize on the board, and selected a Munzee Virtual Package, Magellan ExploristGC GPS unit, and a $15 gift certificate to retailer Cache at Night, respectively. As much as we’d like to do that for every player, it’s just not practical, even with a less than expected 22 qualifying players. We’d be here for months, and there’s no guarantee every player will respond. Also, that was never our plan in the first place. The remaining 29 prizes will be awarded via the random integer set generator function on Random.org. This is the same method that was used for assigning the entry numbers to the players. The remaining prizes will be awarded by monetary value, highest to lowest. A set of all the numbers 1 to 92, generated randomly, will be drawn, and the first 29 numbers drawn will be the winners. Clear? Maybe not? Here’s how it works; refer to the prizes page on our website. 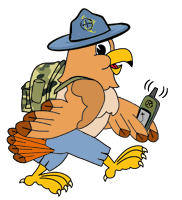 Keep in mind the Magellan ExploristGC unit, (1) Virtual Package from Munzee.com, and the $15 gift certificate to retailer Cache at Night are off the board. The very first random number drawn receives the SPOT II Satellite Tracker, the 2nd number drawn receives a Cache me if you can Geocaching Board Game, the 3rd, 4th and 5th numbers drawn receive a Munzee Premium Membership, the 6th and 7th numbers drawn receive a Munzee Virtual Package, the 8th number drawn receives the $30 gift certificate to the OCNA Swag Store, and so on, right down to the 29th remaining prize, 250 Monster Coins from Monster Cache. Important note: The first 3 numbers drawn Sunday, September 14th were chosen by the “true random number” generator on random.org, not the random integer set generator. It is unlikely, but possible any of those three numbers can come up again in the first 29. However, if any of them do, they will be thrown out, and we will go to the next number in the range.